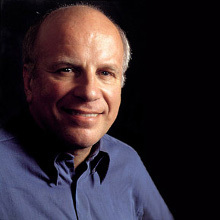 While Greg Dyke had enjoyed a successful career as an energetic and commercially aggressive broadcasting executive with a reputation for understanding what the television audiences want, he rose to nationwide prominence as the Director-General of the BBC in 2000. For the four years he led the BBC, he reorganized its structure to emphasize programming, spending more of the BBC’s income on programs and services for audiences and less on running the organization. He also made major commitments to use digital technology to provide new education opportunities and to improve the cultural diversity of the workforce and BBC programs. Dyke’s progress has been an extraordinary ride through the world of international media. He began his career as a journalist and then a broadcaster at London Weekend Television. He quick rose to become Editor-in-Chief of TV-am and Director of Programs for TVS (Television South). Dyke then joined Pearson Television as Chief Executive. During his tenure, he built it into the largest non-US independent production company in the world. While at Pearson, Dyke also expanded his experiences, undertaking a review of the Patients’ Charter of the National Health Service at the request of the Secretary of State for Health. Well respected by his peers, Dyke has been Chairman of the Independent Television Association; Chairman of GMTV; and at various times a director of Pearson, Channel Four Television, ITN and BSkyB. He was a non-Executive Director of Manchester United Football Club and has been a Trustee of the Science Museum since 1996. Upon resigning as Director-General in 2004, Dyke became the Chancellor of the University of York.